Is God Leading You to Study in the United States? Lancaster Bible College is in a welcoming community that represents cultural, ethnic and geographic diversity. We are committed to our mission of educating Christian students from all over the world to think and live a biblical worldview and to proclaim Christ by serving Him in the Church and society. It is with this conviction that we teach from a biblical worldview in all areas of study. We look forward to helping you make a decision to study here and seek to support you from admission to graduation as well as your transition to life in the US. Traditional Undergraduate degrees offered at our Lancaster Campus are available. Online Undergraduate Degrees through our accelerated undergraduate track are available for students to study at home in their country. Selective Graduate Degrees due to government regulations, only seminary or graduate degree programs offered on the Lancaster Campus are available to international students. Coming to the U.S. is exciting and we want to help you through this journey. Please contact us for more information or ask your questions by emailing us or using the “Ask your question” button in the lower right corner. A $3,000 annual tuition scholarship is available to undergraduate international students who have been accepted to LBC and demonstrate financial need as determined by the International Student Financial Aid Application. This scholarship is renewable with a 2.3 cumulative GPA, and good standing with the college. A 30% off tuition scholarship is available for graduate international students. Students must maintain a 3.0 GPA. We are here to help you understand your F-1 visa and immigration regulations as well as provide support for any financial, academic or personal concerns you may have. We want you to succeed in all of your classes each semester. The Ally Center is an academic support center providing academic mentoring, math labs, and a writing center. Students may sign up for semester-long weekly appointments, make appointments as needed, and participate in formal, mentor-led study groups for specific courses. Appointments can be scheduled in person, by calling the center, or by sending an email. This campus organization provides support and fellowship for students from outside the United States – both international students, as well as Third-Culture-Kids (TCKs). Meet each semester to relate and grow together, sometimes at professors’ homes with a meal and conversation and other times on campus. Rest assured that you will have access to health services while studying at LBC. You may be evaluated by an on-campus nurse at any time during regular Wellness Center office hours. We’re here to help you as you adjust to a new culture and country. Our biblically based counseling and career services are free for all LBC undergraduate and graduate students. Where in the world is Lancaster Bible College? 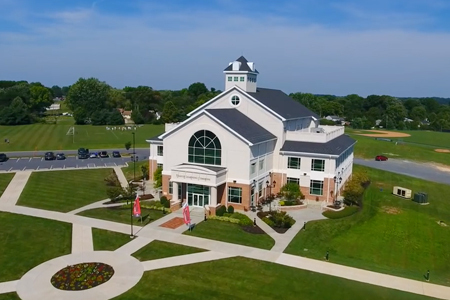 Lancaster Bible College is a safe and secure campus, located in Lancaster, Pennsylvania (PA) in the northeastern part of the United States. Lancaster is a medium-sized city of about 50,000 residents, and is surrounded by sprawling farmland. Our location and access to an Amtrak train station gives you the ability to easily explore beyond campus. Lancaster is less than 3 hours away from New York City, Philadelphia, Baltimore, and Washington, D.C. The downtown Lancaster Amtrak train station is 5 minutes from campus. The major New York City-area airports are about 2.5 hours from campus. Harrisburg International Airport is about a 40-minute ride from campus. Philadelphia International Airport is about 1.5 hours from campus. Baltimore-Washington International Airport is 2 hours from campus.